Mr. Dees is a trial lawyer with over twenty-five years of experience representing clients in commercial, first-party insurance, tort, debt collection and professional malpractice cases in both state and federal courts throughout Texas. He provides insurance policy coverage analysis and advice to insurance companies. 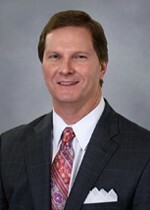 Representative cases include defense of products liability claims, employment disputes, intellectual property matters, contract disputes, construction defect litigation, and insurance coverage litigation. Mr. Dees has received an AV Preeminent® Peer Review Rating™ from Martindale-Hubbell®. Walter M. Fortenberry & Associates, P.C.